Harbert United States Real Estate Fund VI, L.P. (“HUSREF VI”), in conjunction with Fairbourne Properties (“Fairbourne”), acquired The Streets of Brentwood (the “Property”), a 358,615 SF Class A grocery and theater-anchored lifestyle center in Brentwood, California. 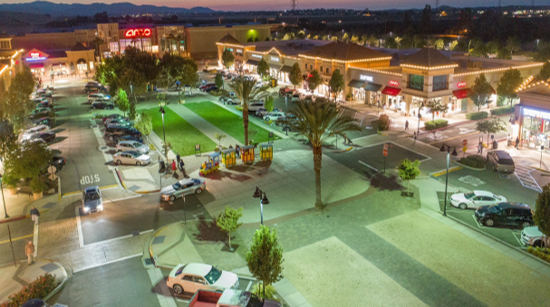 The Property is the only walkable lifestyle center in the trade area and serves as the de facto town center for the City of Brentwood – an affluent and fast-growing bedroom community in the outer East Bay market of the larger San Francisco Bay Area. Fairbourne and HUSREF VI targeted the asset as an attractive acquisition opportunity given the center’s dominance in a healthy and growing trade area, the quality of the improvements, the stability of the in-place cash flow, and the transaction’s multiple sources of upside. Brentwood’s relative affordability, good schools as well as new housing stock and infrastructure are expected to fuel strong growth and solid retail fundamentals in the trade area moving forward. The transaction closed on June 28, 2018 and represents the first joint venture between Harbert U.S. Real Estate and Fairbourne.